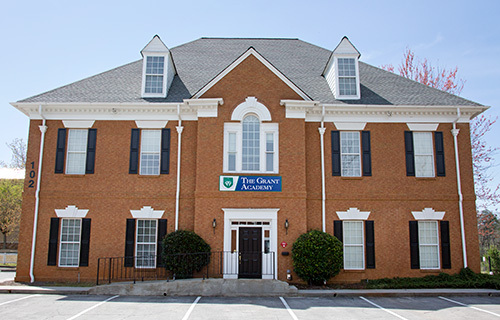 You can trust The Grant Academy educators are all qualified and devoted to providing the best education and nurturing environment for your child’s learning experience. All The Grant Academy teachers hired are certified special education teachers with experience in the field. All teachers have current Georgia certification on file at the school. Reading and language arts teachers have Orton-Gillingham training. All teachers having extensive training in the courses they are teaching. Instruction at The Grant Academy is highly specialized. Our classroom teachers are Georgia state certified teachers. All teachers are certified in special education and the content area that they are teaching. Reading teachers have Orton-Gillingham training and utilize these programs in the class. Our staff has an unequaled commitment to creatively teaching and nurturing each child to his or her fullest potential. Teachers at The Grant Academy teach to the students’ levels and use a whole brain approach so all types of learners can achieve success. Consultation with outside experts in the field of learning differences helps the staff to provide current, research-based education. The Grant Academy’s teachers attend regular in-service workshops and annual conferences to maintain effective knowledge and enthusiasm in subject matter.